I look forward to documenting December every year! When it comes to preserving our family's activities and memories, nothing is better than the month of December! Our days are filled with special activities and traditions that make memories but that are easy for our family to do together! I think the same way when I go to prepare to document the month. Here are some ways I prepare for the busy holiday month ahead. 1. Pick out an album I am going to use. 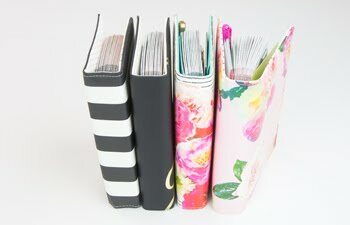 Use a small binder. Every year I have created a "mini" album for my documenting my December. This is the one album that gets looked at the most compared to others so a few years ago I went from the "handmade" album to a pre-designed one with rings. 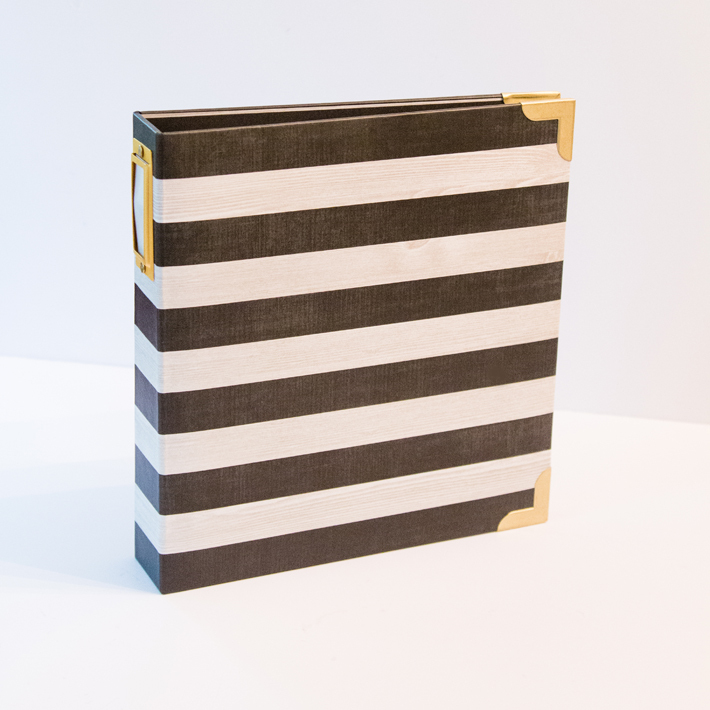 Page protectors are now a must because the pages and embellishments tend to get worn easily. 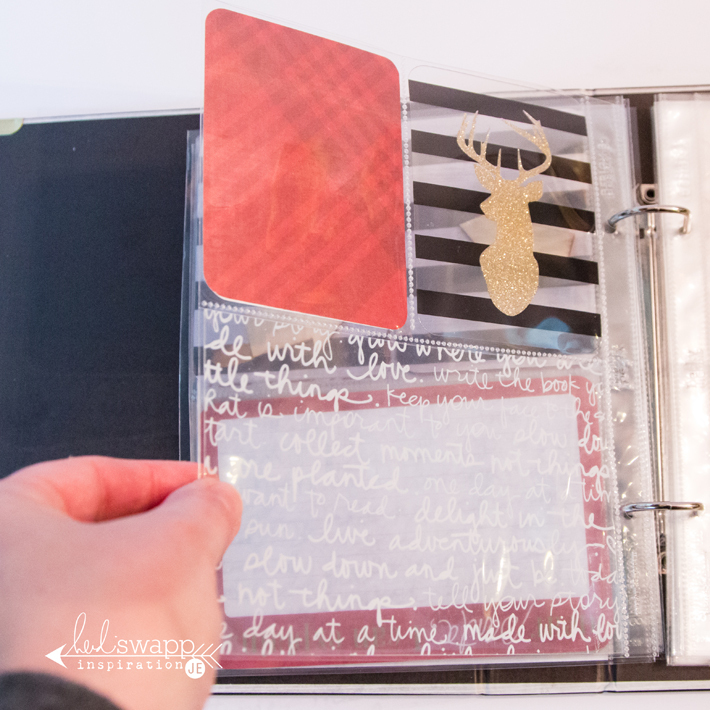 This year I am using the Heidi Swapp Oh What Fun 6x8 Becky Higgins Project Life Album. I like the size! 2. Have fun decorating the cover and title pages now because you won't have time later. I love adding my own embellished cover and title page. My album covers usually have quite a bit of decoration on them and they have been getting abused a bit on the shelf. So, this year, I am still on the fence about the cover. So, I decided what I wanted to do to the cover could be created as a title page easily! 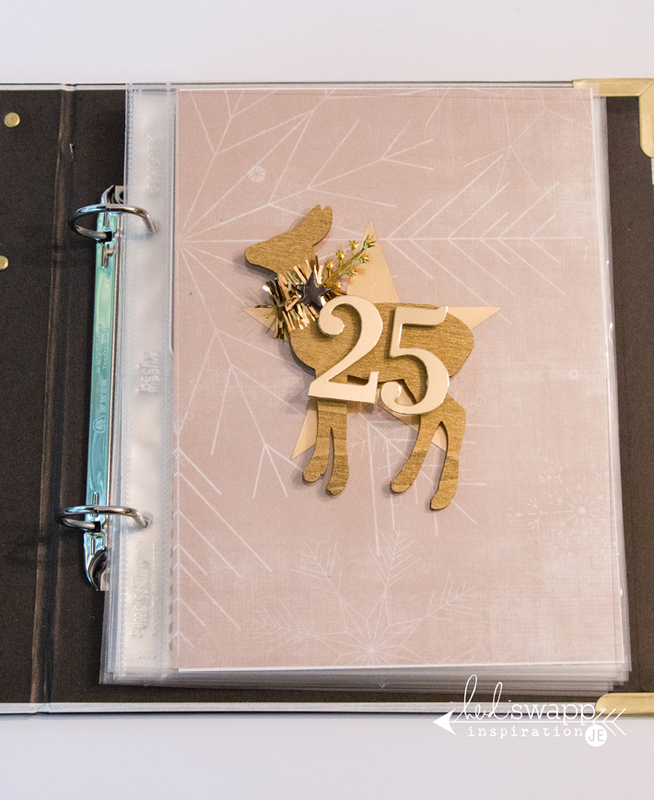 I used a clear acetate from Heidi Swapp's Cinch Album Kits to add the deer and other embellishments from her Oh What Fun collection. The deer comes gold, but I added Heidi's other trims. I also use extreme adhesive like E6000 or a hot glue gun so my embellishments won't fall off from excessive touching by little hands. What is fun is that I glued a star from the Shape Embellishment pack to pattern paper and so the layers would look beautiful together. 3. 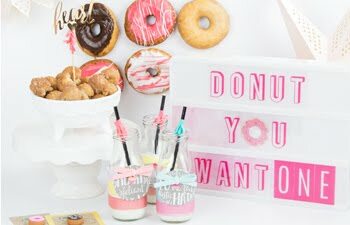 Use free printables to make the job easier. 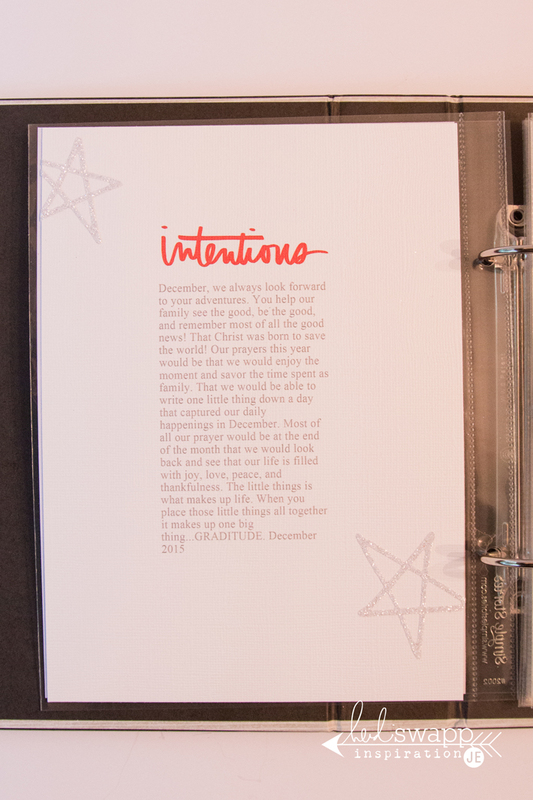 Ali Edwards' December Daily for 2015 has started and she has a free printable that you can download to add your notes about your December 'intentions'. You can find that post here on her blog. I dressed it up by adding some stars die cut from Heidi's Star Oh What Fun Die using her white glitter Marquee Love Tape. It's like creating your own stickers! 4. 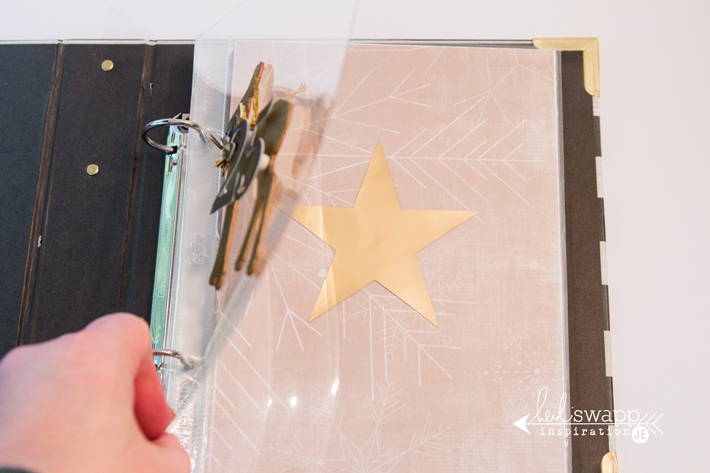 Prepare pocket pages so that all you will need to do later is slide in pictures, add your journaling, and embellish. I found that it is so much easier for me if my base pages are somewhat started. I don't need to have my "canvas" finished but if it has a base I can feel like I am almost half way there, right? I want it to be easy to slide pictures in later but I don't want to be stuck to having to use what I put into the pocket. 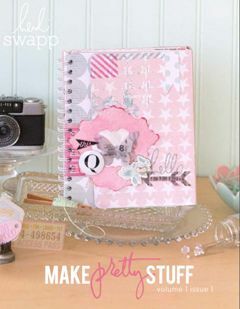 I am using the Heidi Swapp Oh What Fun Christmas and Winter Becky Higgins Oh What Fun Project Life Value Kits. For example, every year we celebrate a family "Saint Nicolas Day" so I created a page that I can add our story to. Yet, if I don't end up wanting to use this "Ho, Ho, Ho" Project Life card (from the Christmas Oh What Fun Value Kit), then I will just remove it and add a photo. The best part about having a binder is being able to move my pages around if I want. Hey, the base is done, so if day 2 doesn't match what I have photographs for, no worries! I can move a page around and add the number sticker or die cut later! 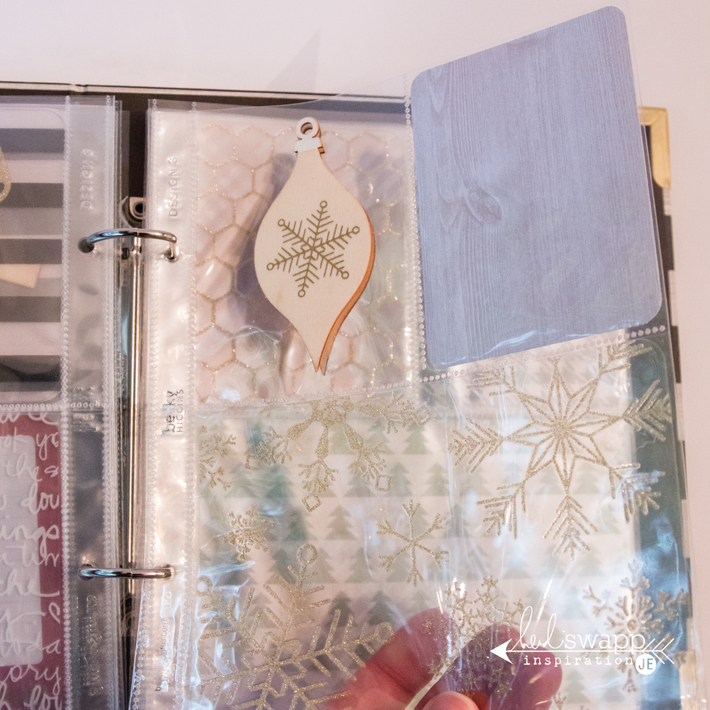 I am adding clear acetate papers and overlays to some pockets for those days I might not have a photo, it will peek through to another day where I do. 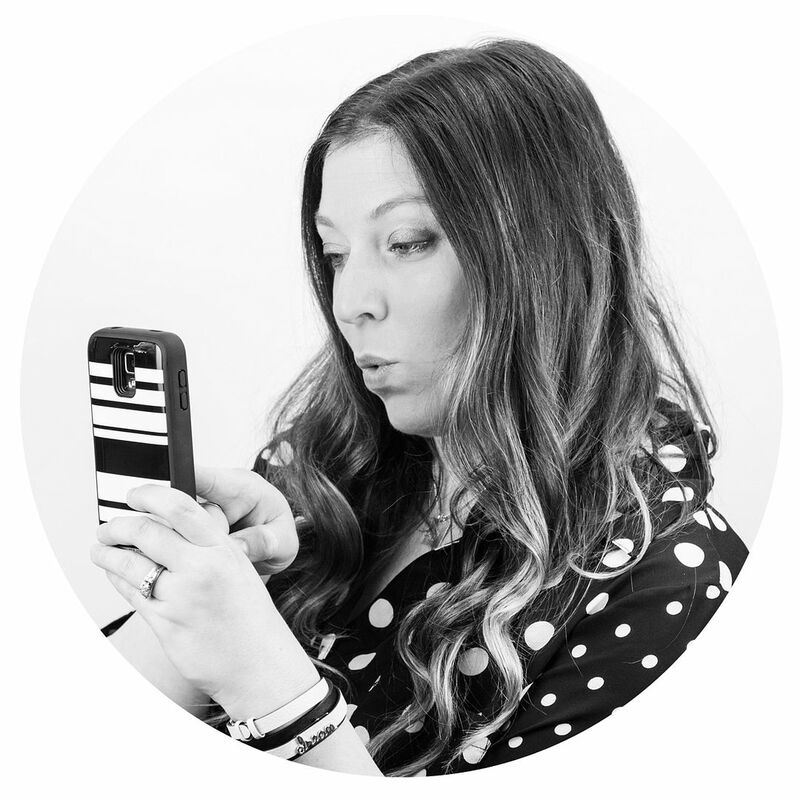 I hope this inspires you to make documenting the busiest time of year a little easier! I am looking forward to sharing my cover and finished pages with you soon! 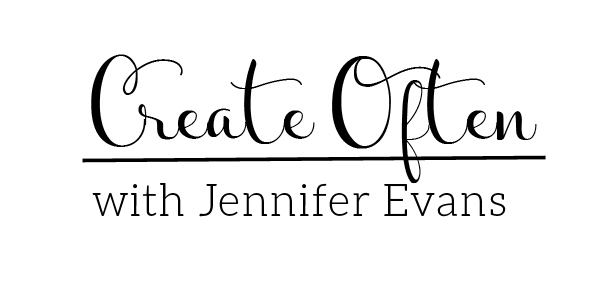 Create Well: Documenting December doesn't have to be hard! Prepare your pages now!